Are you on the warpath to get the most out of your smartphone by figuring how to install Xposed framework on Android? Here’s everything you need to know about Xposed and all the popular Xposed modules that will unleash the true potential of your Android device. Rooting your Android device and learning how to install Xposed framework on Android is all about freedom. But before we do that, I’d like to take a moment and talk to you about phone unlocking. If you’re looking to root your device, consider unlocking your device first – once your phone’s rooted, it cannot be unlocked. So it’s the best time to do it, it takes minutes and comes with a money back guarantee. Check out our phone unlocking service now. 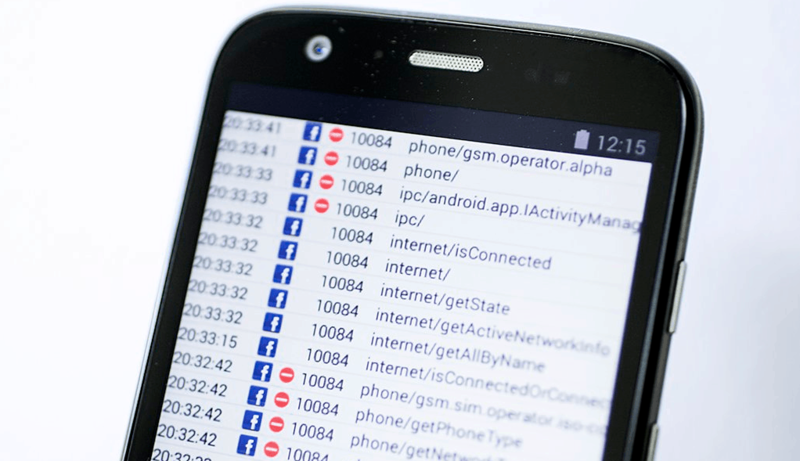 If you’re looking for multiple reasons to root your Android device, Xposed Framework is the only reason you need. This incredible hub of mini-apps enables you to install almost any kind of feature you could possibly imagine in the form of modules. In order to install Xposed Framework on Android, you need a rooted device and the right version of the app. If you want specific details about your phone, reach out to us on the Updato forum. Although the Xposed Framework has been out there for a few years now, it is now available for all Android 6.0 Marshmallow devices. But before you can run Xposed Framework, you need to understand what Xposed framework is all about, the risks involved and why they’re all worth it at the end for most users to try it. What is Xposed Framework all about? As the tradition has been in the world of Android customization, you need to flash custom ROMs to add special functionality to their devices. However, the Xposed framework is designed to eliminate the need of custom ROMs, by offering you a whole suite of features that you can cherry-pick and add to your device just like apps. Before you get all riled up about Xposed framework, you need to know that Xposed is not yet compatible with Android 7.0 Nougat. The developers have plans to eventually bring the customization tool to newer devices, but for now, only Android devices running Android 6.0 Marshmallow and lower can be flashed with the Xposed installer. Note: Although Xposed framework is designed to best work with stock Android (Google, Nexus, Motorola and others), it works well enough with heavily customized devices from Samsung (risky) and LG as well. The all-powerful Xposed is capable of customizing Android to its core, but treading carefully with the modules you install is essential if you don’t want to end up with a bricked device. 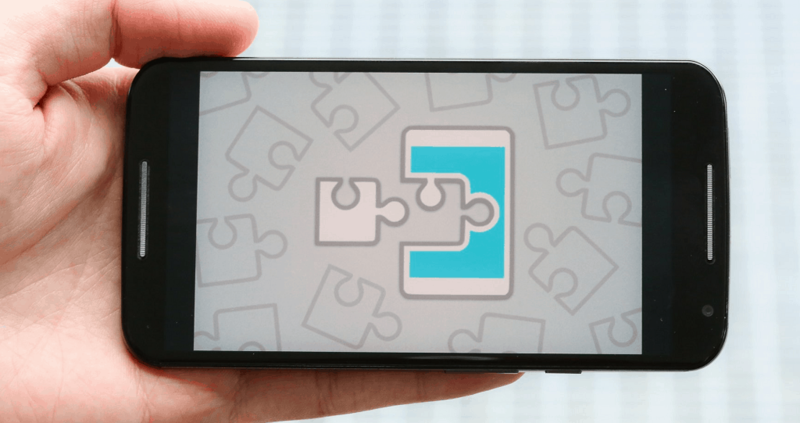 Unlike installing a simple app from the Google Play Store, the Xposed framework needs to be specific, according to your Android device’s hardware. Before you begin the process of understanding how to install Xposed framework on Android 6.0 Marshmallow, here are some of the aspects you need to be sorted out. A device running Android 5.0 Lollipop up to Android 6.0 Marshmallow. Root access enabled on the Android device. “Unknown sources” option enabled from Settings > Security. To install Xposed Framework on your Android device, you need to select the correct version based on its CPU architecture. To find out the CPU architecture of your device, use an app called Hardware Info. The app is available on the Google Play Store for free, so download it with the link below. Once you have installed the Hardware Info app, open the “Processor” tab and view the CPU architecture type of your device. Once you have discovered the CPU architecture of your device (ARMv7, ARM64, and x86), go ahead and download the appropriate Xposed Framework version. Since the Xposed framework for each of the compatible Android versions in different, you need to make sure that you download the right file for your device. Head over to Settings > About phone > Android version to find out the software version running on your device and download the correct Xposed framework based on your CPU architecture and Android version of the device. Apart from the Xposed Framework file, you also need the Xposed Installer app to get the software working on your Android device. Since the Xposed installer app is the same for all versions, you can download the Xposed Installer .APK file for all supported Android devices using the link below. Once you have downloaded both the files, reboot your phone into recovery mode to install the Xposed Framework .zip file. Power down your device, then press and hold down the power and volume down button to enter recovery mode. If you have a custom recovery such as TWRP installed on your device, press “Install” and then select the location where you have saved the Xposed Framework .zip file. Tap on the file, press “Install Image” and then swipe to the right to confirm flashing. You can then press the “Reboot System” button and proceed forward to the next step. Once your device finishes rebooting, it’s time to install the .APK file you had previously downloaded to your device. 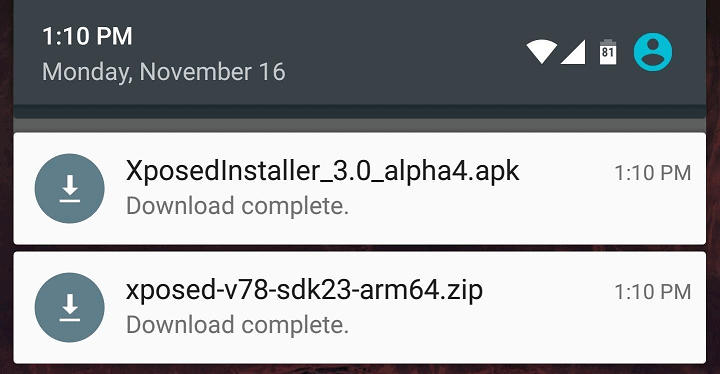 Go the “Downloads” app on your device and tap on the “XposedInstaller_3.0_aplha4.apk” file and install it as usual. Once the installation completes, you can go ahead and fire up the newly downloaded Xposed Installer. However, since the service in alpha testing, not all modules will be compatible or work properly with Android Marshmallow. So let us know if you were able to install Xposed Framework on Android Marshmallow. With the difficult part out of the way, it is time you begin to enjoy the best of Xposed framework with the modules that come with it. You can regard the Xposed framework app to be the Google Play Store and the modules to be the all the apps that it hosts. You can find all the Xposed modules in the app itself, so here’s what you need to do. Simply open the Xposed Installer app, press the three-line menu icon on the top-left corner of the screen and select Download. Press on the magnifying glass icon on the top of the screen to access the search box and type in the name of the Xposed module you want to install. Once you find the Xposed module you want to download, tap on it and select the Download button. Once the module is downloaded, you will be pulled up to the installation screen, so press the Install button at the bottom of the screen. The Xposed modules work and feel similar to any other app that you would install from the Google Play Store. In most cases, the installed modules from Xposed Installer will be accessible from the app drawer of your Android device. After the grueling task of learning how to install Xposed framework on Android, it would be a shame if you didn’t know how to make the most of it. Since the Xposed Installer is packed with more modules than you could possibly use at once, sifting out the best Xposed modules can be quite the task. The Xposed modules that work on your Android best can be discovered along the way, but there’s a bunch of these that you need to install right away. Imagine an app that allows you to tweak, enhance, and essentially customize the user interface of your device the way you want – this is what Gravity Box is intended to do. Rather than installing modules piece by piece to get some refreshing new functionality, Gravity Box is a suite of features in itself. 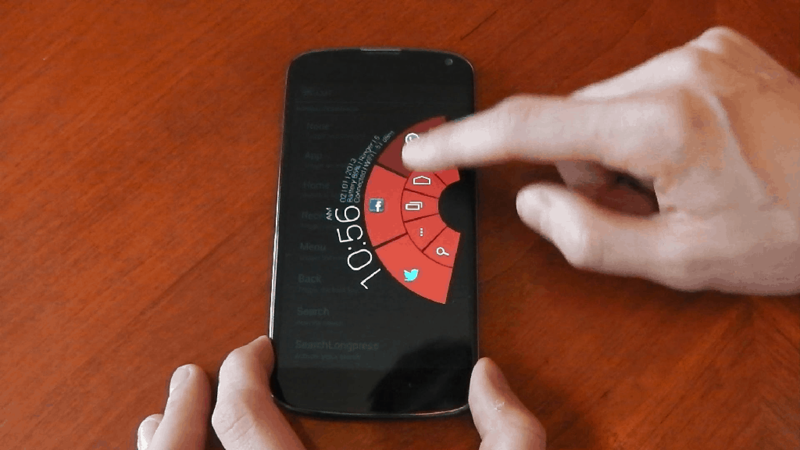 Equipped with features for lockscreen tweaks to add more content and features to your plain-old lockscreen. Status bar tweaks that help you modify the very core of aspects such as the Quick Settings tab, Navigation tweaks, intuitive Pie controls for gesture navigation from any screen and a whole lot more, Gravity Box is a tweaking bonanza. You’ve probably already heard of Greenify if you’ve been trying to get the most out of your Android device battery life. 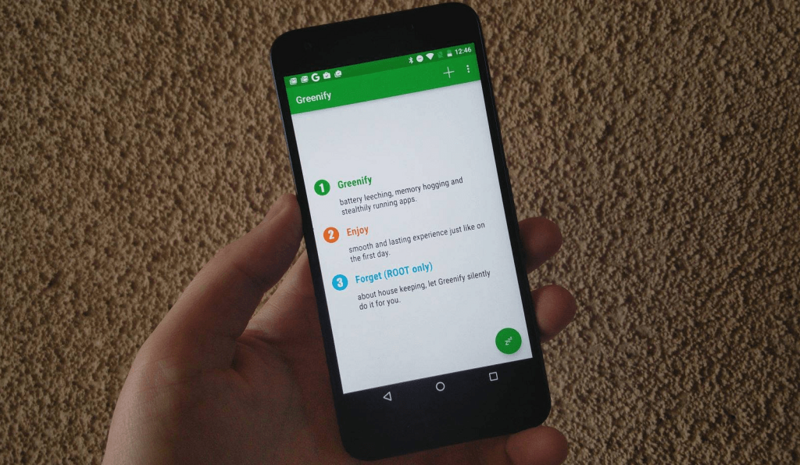 However, when installed as a Xposed module with all the root access permits it needs to truly do its job, Greenify will be your best pal in helping you stretch that single charge and last your device through the day. Built with features that limit the battery leechers without damaging the performance of your device, Greenify comes with features such as App Analyzer to give you a better idea of what apps are the power-chugging culprits. The app also bypasses the regular working of the background processes to ensure that you’re not uselessly draining away battery life on an app that isn’t being used on the forefront. Xposed framework is all about getting more from Android than Google intends you to have, such as having WhatsApp features that the majority does not enjoy. An attempt to bring back the features of WhatsApp+, which was an enhanced version of the Facebook-owned instant messaging app, WhatsApp Extensions brings a set of cool features to the table. This smart module comes with features that allow you to color-coordinate your chats and different groups, hide the last seen screen, turn off read receipts ticker, disable delivery reports for more anonymity, replace buttons, set up passwords for chats and so much more than what your average WhatsApp user gets from the app. This Xposed module is specifically built to shut down those who look down upon Android OS over its widely criticized lack of privacy management features. A permission manager on steroids, XPrivacy puts your Android device back in your control by giving you complete authority over the functions of the apps installed on your device and the data they have access to. While app permissions have greatly improved under Android 6.0 Marshmallow which does make the app a bit redundant, but XPrivacy is still a powerhouse. Whether you want more analytics on what particular apps are able to access (data, the internet, usage information and more), or what apps are collecting your private data to spam you with ads, XPrivacy has got you covered. If you’re a true Android fan who likes to keep with the latest and greatest updates, you probably know about the Picture in Picture mode that Android O with hopefully bring. Well, Christmas is coming early with Xposed as this feature can already be installed on your Android device with the Awesome Pop-up Video module. While the module is available as an app on the Google Play Store, it becomes far more cognitive with the Xposed framework support. With a multi-codec compatible video player that comes with a bunch of features such as Chromecast support, customizable themes, multi-window support, YouTube in integration and more, you’re sure to enjoy Awesome Pop-up Video even more on the big screen. As fun as it can be to play around on a tablet or even a large-screen phablet as your daily driver, the large screen size can become restrictive. This is where the XMultiWindow from Xposed swoops in to save the day with its suite of excellent multitasking features that, in our opinion, every phablet device should come with by default. Some of the features packed into this module include support for slite view, quick landscape, and portrait switching for work, a customizable sidebar which can be customized with apps and services shortcuts which work even on Android devices running a third-party user interface. On-boot apps and processes can slow your Android, similar to the way your computer takes more time to boot up when too many startup processes are enabled. In order to enjoy faster boot-ups and reduce the processor load on apps and services that Android activates by default (but you may have no use for), BootManager is the Xposed module you need. Keeping things simple, the module simply shows you a list of apps installed on your device that is activated by default when your phone boots up. Simply choose the apps from the list that you don’t necessarily use right away when your device starts up and reduce the bootup time the easy way. What are your thoughts on the guide on how to install Xposed framework on Android? Is the ability to completely rule over the Android OS with modules worth the trouble to install Xposed installer? Be sure to share your thoughts in the comments section or let us know on the Updato Forum!